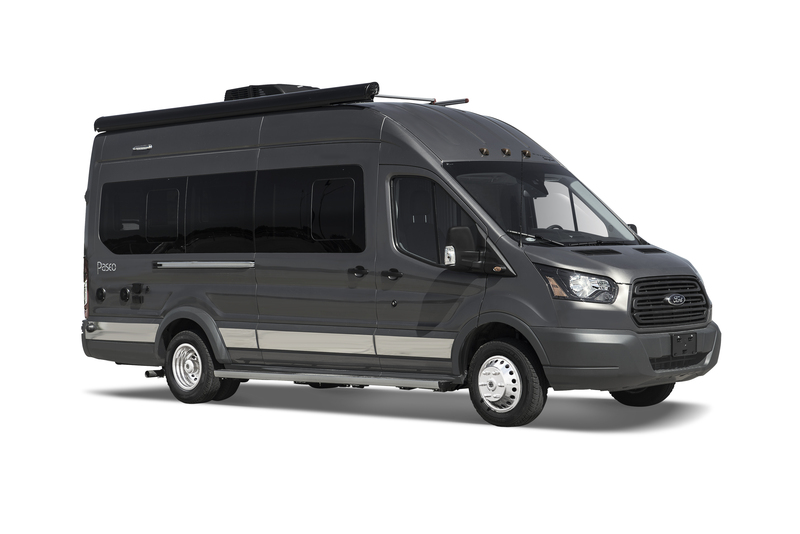 The all-new Winnebago® Paseo™ is a first-of-its-kind Class B coach built on the world-renowned Ford® Transit van chassis. It looks sharp, has a spacious interior, and boasts the power and fuel economy of a Ford EcoBoost engine. The Paseo was consciously designed for a leisurely lifestyle while making the most of the available space. The rear third of the coach is completely transformable to your needs with the help of a specially-designed Flex Bed System that offers multiple sleeping and daytime configurations.